Generally I use a cleanser at night and a micellar water in the morning - I've kept this part of my routine the same, but I've stepped up to more hydrating products. Bioderma's Hydrabio H2O is designed for sensitive and dehydrated skin, so it's a good choice for when my skin is feeling drier. It cleanses without leaving my skin tight or irritated. 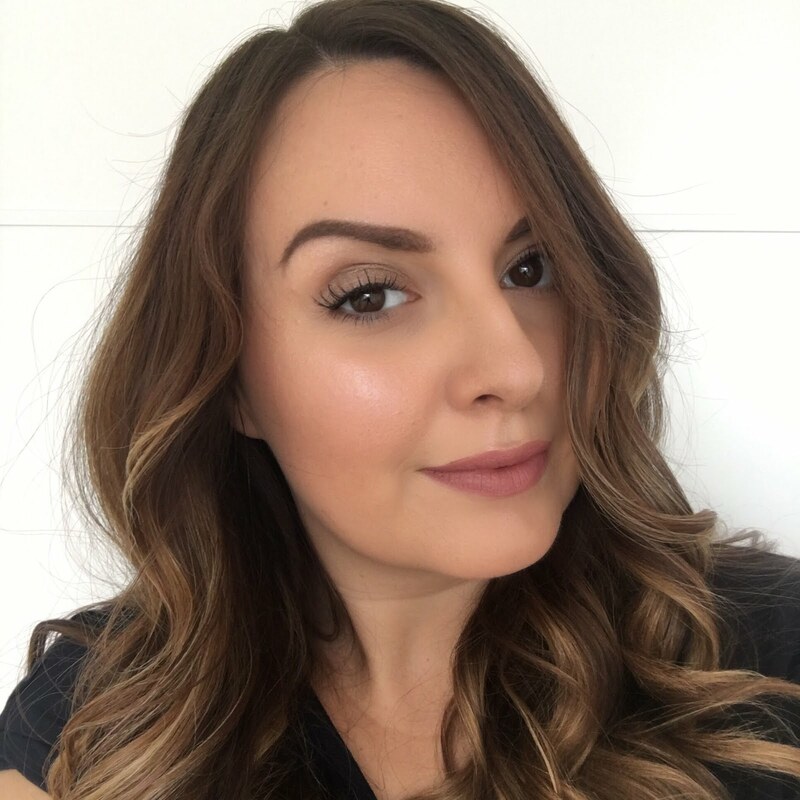 For night-time I've been liking the fruity fragranced Good Things fresh start creamy cleanser - my skin instantly feels comforted by the creaminess of this product, and it makes light work of getting rid of mascara and liner. I've been removing this with hot water and a muslin cloth. Apologies to the flannel brigade - I know it's considered very 2012, but I really like muslin cloths as they help to exfoliate any dry flakey bits (ick) and give my skin that deep down clean feeling. My eye area in particular has been really bothering me lately, and I think it's also due to the cold weather. My dark circles seem more prominent and have been almost repelling my best efforts with concealer, so I've been trying the superdefense eye cream which is new from Clinique. It's called superdefense because it's designed to guard against UVA/UVB, pollution, dehydration and even stress. I like it because it targets both hydration and anti-ageing which are my key concerns right now. Plus it has an illuminating effect which instantly improves the look of my dark circles, and it doesn't sting or irritate my sensitive eyes. I only need to use a teeny amount of this - about the size of a grain of rice - so it's going to last me ages. Also from Clinique I've been using the moisture surge overnight mask. I'm a big fan of the Origins drink up intensive overnight mask, and am shocked to say I actually now prefer Clinique's offering as I had the Origins one down as an all time favourite! It's slightly more expensive, but I like the texture of Clinique's overnight mask more - it goes on like a lotion and feels like it sinks into the skin well without leaving obvious residue, but I can feel it's made a barrier of some sorts to lock in hydration throughout the night. It's almost completely fixed the dry and partially cracked skin I get around my nose, and for that it gets ten out of ten. I'm totally converted and will be picking up a back-up of this. Lips and hands are often the first things to suffer the effects of cold weather, generally because they're quite exposed when you're outside. 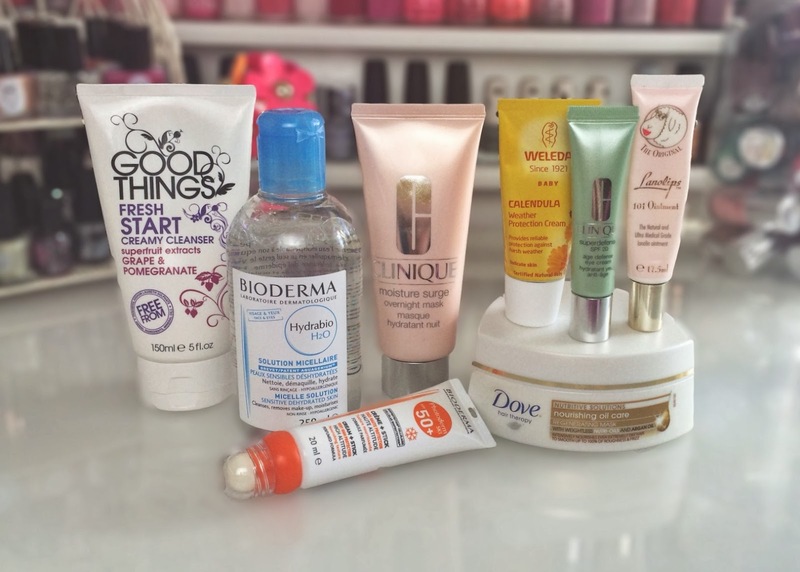 I can't stand having dry, flaky lips so I'm always applying lots of lip balm in Winter. Sometimes it's not enough and the poor condition of my lips can really be shown up when wearing lipstick, which calls for me to bring in the big guns in the form of Lanolips 101 ointment. I've been using this for a few years now and it's the best thing I've found for not only instantly soothing but also improving and healing the lips. If I'm struggling with wearing a lipstick I'll slick this on first and then blot, which creates a perfect base for colour. I don't have such a sturdy hero product in place when it comes to dry hands and cuticles, so I've been giving Weleda's Calendula weather protection cream a go - it contains only natural ingredients and is even suitable for babies. So far I really like this - I expected a standard hand cream, but it's like an oily balm which instantly hydrates and comforts my skin. I've found this is particularly good for raggedy cuticles, but the effect does wear off after a couple of hours, so I've been keeping it nearby and reapplying regularly to keep my hands looking and feeling happy. I'm not all that sporty (okay let's be honest, I'm not sporty at all), but I know a lot of people who like to ski and snowboard, and they often forget about how strong the effects sun can be when you're high up on the slopes. Bioderma photoderm high altitude cream and stick is SPF 50+ and can protect skin from the cold and wind in temperatues as low as -10. It's a handy cream and stick combo, so great for applying on the face and the lips, and it applies clear whilst preventing chapping and other damage from cold weather. It sounds great, but as the closest I'll come to shwooping down the slopes is slipping on icy pavements, I'll be giving this to my friend Rob who's off snowboarding next month. And lastly, it's not just skin that can be damaged by the cold - the ends of my hair are looking pretty sorry for themselves too. It's probably a combination of the cold weather and the fact that I desperately need to get a trim once January payday finally rolls around! My favourite product for injecting some much needed moisture back into my ends is the Dove nourishing oil care regenerating mask - it's such good value at around £4 that I'm forever repurchasing this. Have you changed up your routine for Winter too? I love the Origins overnight mask, but maybe I should try the Clinique one if you think it's even better! The Dove mask is great too, and such a bargain! If you mean the express conditioner (is that it's name?!) then that's one if my faves too! I really want to try Bioderma! I just find it so impossible to find. My lips are ultra dry at the moment, nothing seems to be hydrating them. I may have to invest in the Lanolips. Recently discovered lanolips and love it! 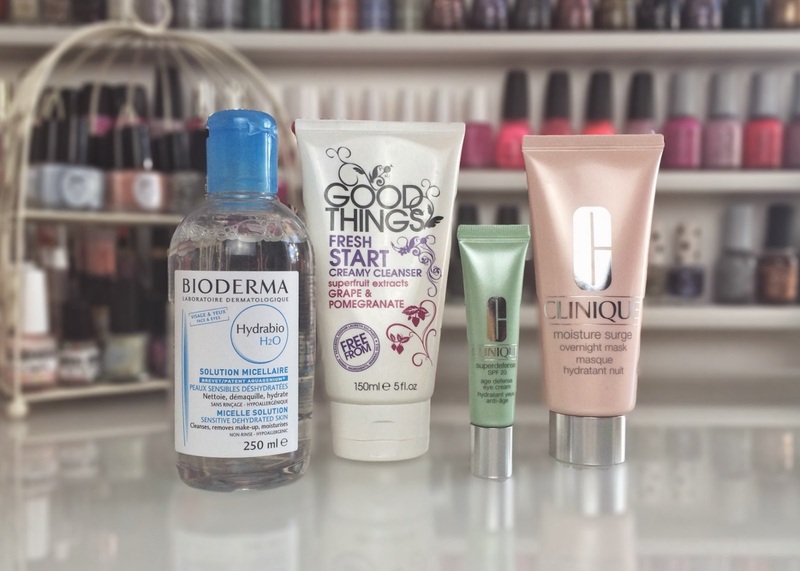 I also use hydraluron in winter as a skin saviour!